This is one of the best places to be in this part of the world. This amusement park is famous for its rides and haunted houses. Being a theme park it showcases some of the iconic themes here. You will be able to relate some of them with the movies that you have seen. There is a 4D movie theatre along with a gigantic roller coaster. Another attraction of this park is the snow town. It will cost you some extra penny but it is worth visiting. So, you can consider visiting here to enjoy all the rides including the big splash ride. Oomph up your visit by adding the best hotels in Bangkok like Kokotel Bangkok Surawong, Icheck Inn Silom and Amber Boutique Silom. 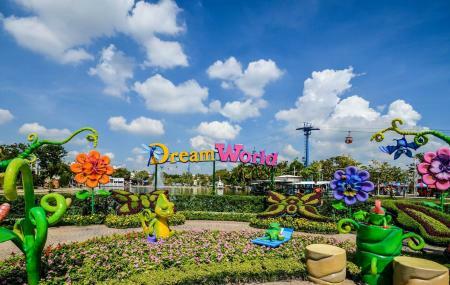 How popular is Dream World? People normally club together 48 Ville and Moca (thailand )co.,ltd while planning their visit to Dream World. This is one tour the kids would love, and so would the grown ups, there's fun for all ages. They have 2restaurants, I one with Asian food and another Indian cuisine. It's worth to give it a go with the Indian y, I personally liked the sections of very good tasty food. The 4D movie and alien shows were the best and most fun. Water rides for those who are not allergic to getting wet. I would give it a miss to the snow town. Not impressed with the set up and facilities. Otherwise great day out with kids and as a family. A great place for kids and grown up kids alike to spend the day. The rides are enjoyable for everyone, but be weary of the prices. There are also A lot of places to grab a snack or a drink, or even a full on meal. The staff is really nice as well. The place is not as big as you'd expect though, and can get pretty crowded on busy days. Great fun. Make sure to come early. Plan your itinerary for the rides. Food is overpriced but expected. Take popular rides in the morning and leave the water rides for the afternoon. Same rate as Thai nationals if you have a work permit. 600 baht package is the most cost effective. Weekdays are far better than weekends.